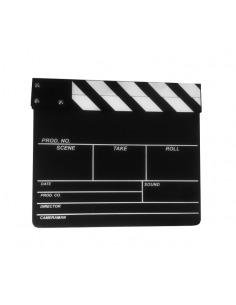 Clapboard cinema black large model.Size: 280x190mm.Often used to shoot wide shots.Symbol of the film often used in decoration. 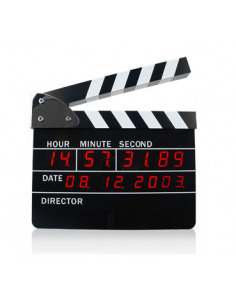 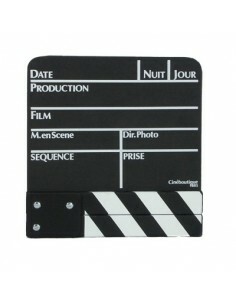 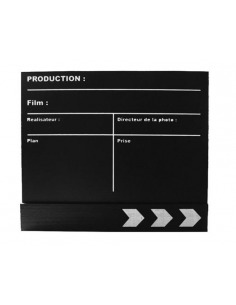 Clapboard cinema black small model.Size: 190x145mm.Used in the shooting of cinema during close-ups, much appreciated by fans of cinema in deco. 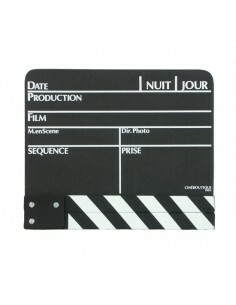 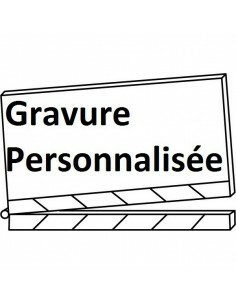 Size: 165x130mm.Used to celebrate the end of filming, the clap is usually offered to the entire team of the film.